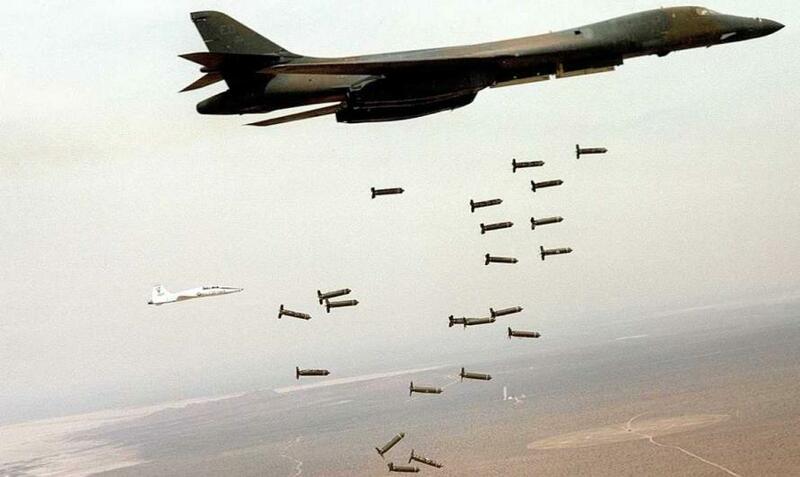 The US Government (with France and a few other US allies) bombs Libya, Syria, etc. ; and the US regime refuses to accept any of the resulting refugees — the burdens from which are now breaking the EU, and the EU is sinking in economic competition against America’s international corporations. America’s corporations remain blithely unscathed by not only the refugees that are breaking up the EU, but also by the EU’s economic sanctions against Russia, Iran, and other allies of governments that the US regime is trying to overthrow in its constant invasions and coups. The US Government makes proclamations such as “Assad must go!” — but by what right is the US Government involved, at all, in determining whom the leaders in Syria will be? Syria never invaded the US In fact, Syria never invaded anywhere (except, maybe, Israel, in order to respond against Israel’s invasions). Furthermore, all polling, even by Western pollsters, shows that Bashar al-Assad would easily win any free and fair election in Syria. The US Government claims to support democracy, but it does the exact opposite whenever they want to get rid of a Government that is determined to protect that nation’s sovereignty over its own national territory, instead of to yield it to the US regime, or to any other foreigners. The US regime has virtually destroyed the United Nations. Here, then, is a debate between, on the one hand a retired CIA official who thinks "Our relationship with Israel causes us war with Muslims,” versus Representatives in the US Congress who are actually representatives of Israel’s Government and definitely notrepresentatives of the American people. Both sides in that debate are acceptable to the aristocrats who control the US Government, because neither side argues that the apartheid theocratic Government of Israel is an enemy of the American people (as is documented actually to be the case, here and here), nor that the entire problem of Islamic terrorism is fundamentalist-Sunni, and that only Israel gets hit by terrorism that’s from both Sunnis and Shiites — that Shiites (the US alliance's targets) are no terrorist threat, at all, to Europeans (nor to Americans) — the “Islamist” threat is actually only from fundamentalist Sunnis, which are the very same groups that are secretly allied with America’s aristocracy and the Sauds. Neither side of the ‘debate’ acknowledges that both the Sauds and Israel (and Israel’s lobbyists represent internationally also the Sauds’ interests) are enemies both of the American people, and of the peoples of Europe.